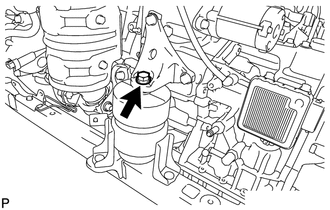 (a) Remove the engine stand. 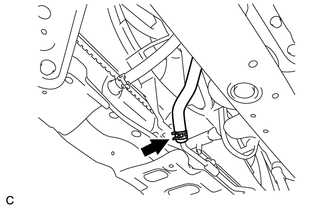 (a) Install the engine wire. 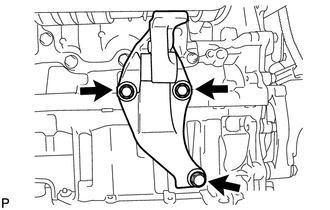 (a) Install the rear engine mounting bracket with the 3 bolts. 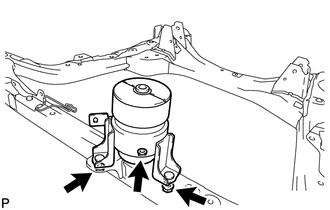 (a) Install the drive shaft bearing bracket with the 3 bolts. (a) Install the engine mounting bracket RH with the 3 bolts. 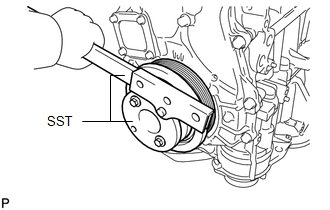 (a) Temporarily install the transfer stiffener plate RH. 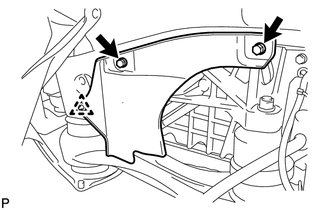 (b) Tighten the transfer stiffener plate RH with the 4 bolts to the transfer and rear engine mounting bracket. 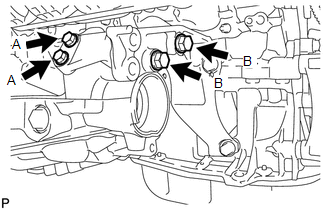 (a) Temporarily install the front engine mounting insulator assembly with the 3 nuts. 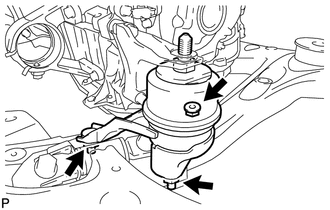 (a) Temporarily install the engine mounting insulator LH with the 3 nuts. 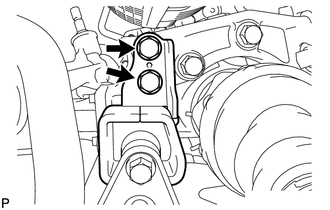 (a) Temporarily install the engine mounting insulator RH with the 3 nuts. 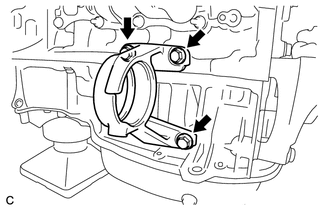 (a) Temporarily install the rear engine mounting insulator with the 2 nuts. (a) Set the engine assembly with transaxle to the front frame assembly. 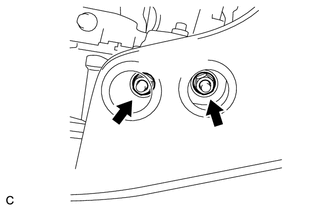 (b) Install the engine mounting insulators RH and LH with the 2 nuts. 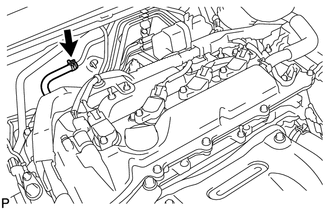 (c) Install the front engine mounting insulator with the bolt. 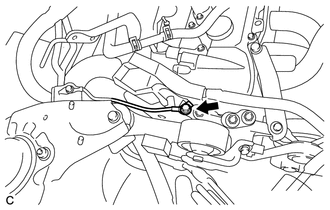 (d) Connect the 2 clamps with the engine wire. 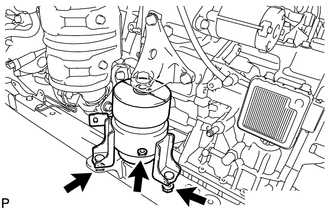 (a) Install the rear engine mounting insulator assembly with the 2 bolts to the engine mounting bracket. 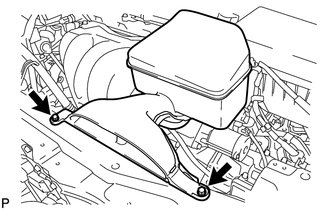 (a) Fully tighten the front engine mounting insulator with the 3 nuts. 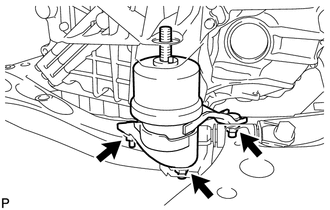 (a) Fully tighten the engine mounting insulator LH with the 3 nuts. 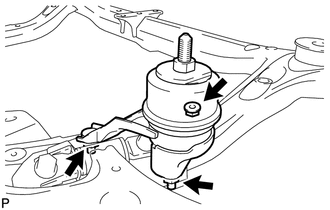 (a) Fully tighten the engine mounting insulator RH with the 3 nuts. 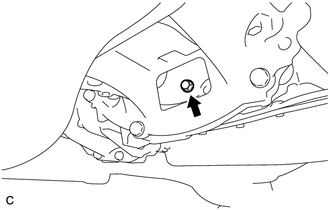 (a) Fully tighten the rear engine mounting insulator with the 2 nuts. 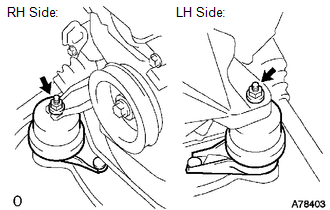 Use the same procedure described for the LH side. (c) Install the frame side rail plates RH and LH with the 4 bolts and 2 nuts. 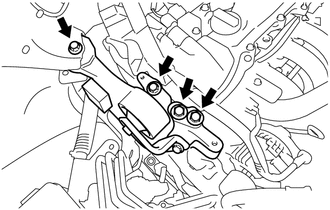 (d) Install the front suspension member rear braces RH and LH with the 4 bolts and 2 nuts. 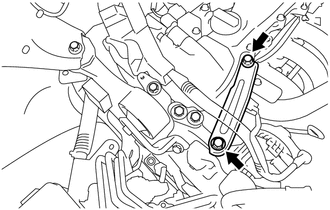 (b) Apply a few drops of adhesive to the first 2 or 3 threads of the 6 drive plate and torque converter setting bolts. (c) Install the 6 drive plate and torque converter clutch setting bolts. Install the black colored bolt first, and then the 5 silver colored bolts. 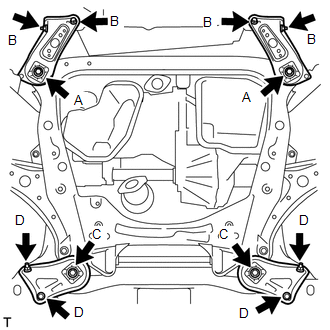 (a) Install the front floor brace with the 4 nuts. 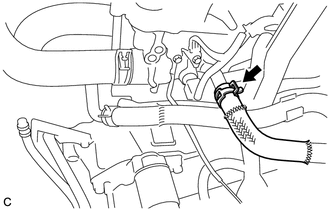 (a) Using pliers, grip the claws of the clip and slide the clip to connect the union to check valve hose to the intake air surge tank assembly. 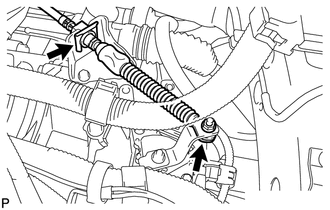 (a) Temporarily install the engine moving control rod with the 4 bolts. 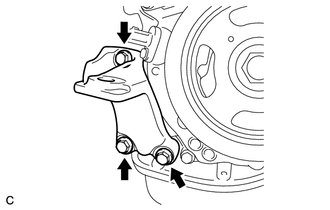 (c) Tighten the 6 bolts. 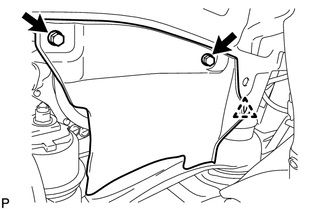 (a) Connect the connector to the ECM with the lock lever. 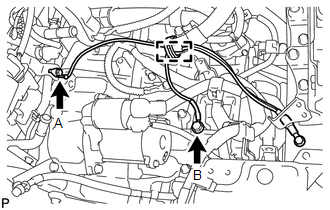 (b) Connect the engine wire with the 2 clamps. 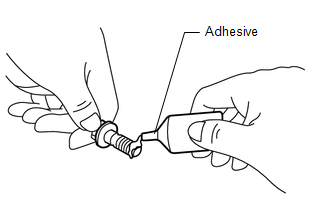 (c) Install the ground cable with the bolt. (d) Install the ground cable with the 2 bolts. (e) Connect the ground cable clamp. (f) Connect the positive (+) cable with the nut and 2 clamps. (g) Install the ground cable with the bolt. 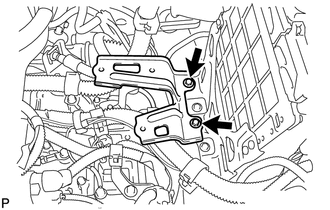 (h) Connect the 2 engine wire clamps. (i) Connect the engine wire to the engine room relay block. Then, install it with the nut and 2 connectors. (j) Install the No. 1 relay block cover. 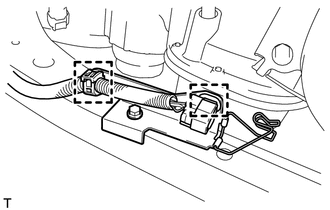 (a) Connect the transmission control cable assembly to the control shaft lever with a new clip and the nut. 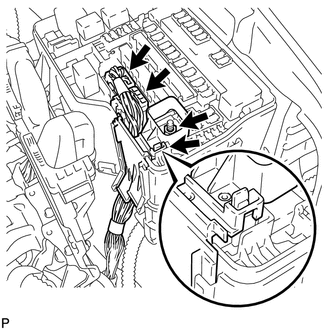 Before connecting the transmission control cable assembly, check that the park/neutral position switch and the shift lever are in N.
(a) Connect the outlet No. 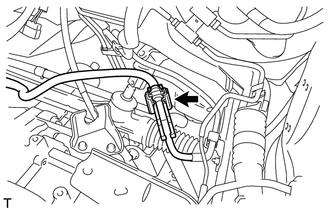 1 oil cooler hose. (a) Connect the inlet No. 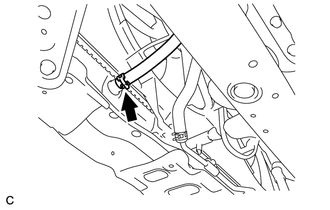 1 oil cooler hose. 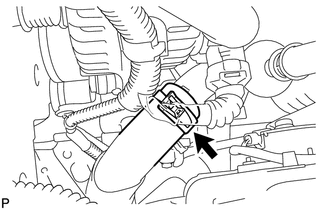 (a) Push in the fuel tube connector to the fuel pipe until the fuel tube makes a "click" sound. 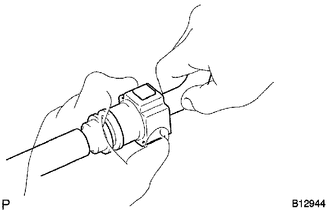 Check for damage or dirt and foreign objects on the connecting part of the pipe. 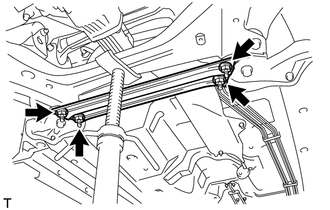 Check if the pipe and the connector are securely connected by trying to pull them apart. 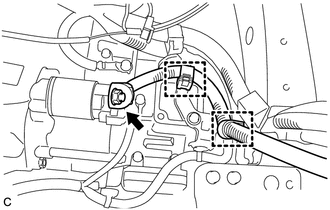 (a) Connect the outlet heater water hose. 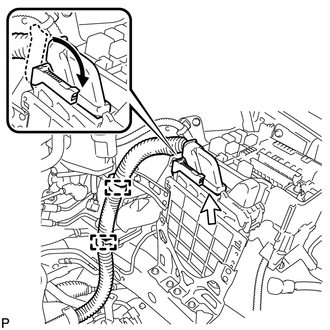 (a) Connect the inlet heater water hose. (a) Connect the No. 1 radiator hose. (b) Connect the wire harness clamp. (a) Connect the No. 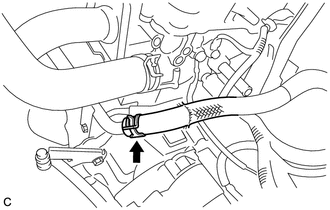 2 radiator outlet hose. 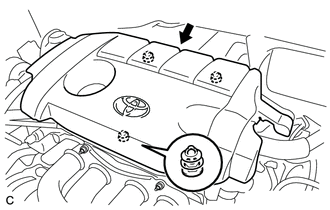 (a) Install the air cleaner filter element sub-assembly. 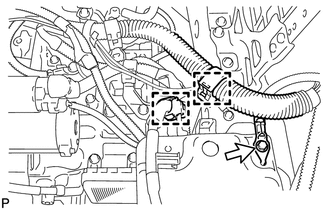 (a) Install the inlet air cleaner assembly with the 2 bolts. 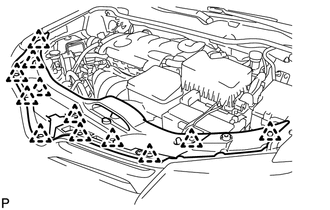 (a) Install the battery tray and battery. 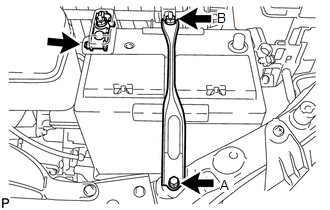 (b) Install the battery clamp with the bolt and nut. 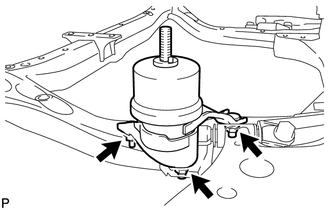 (c) Install the positive (+) battery terminal with the nut. 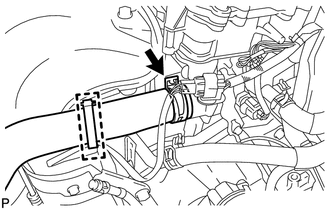 (a) Install the front fender apron seal LH with the 2 bolts and clip. 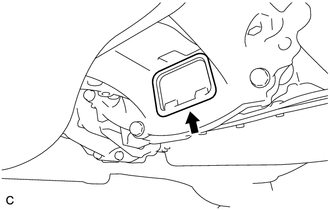 (a) Install the front fender apron seal RH with the 2 bolts and clip. 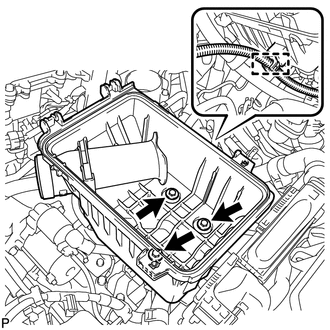 (a) Fit the 3 retainers and install the No. 1 engine cover sub-assembly.